Mitt didn’t tell Massachusetts of his plans when he ran for governor, but he came into the statehouse with the same unspoken agenda. Mitt ran the same generic, 100% content free campaign in 2002. When he took office, he went straight for the jugular – state aid for public schools. Head over to the Massachusetts Department of Education’s historical spreadsheet of Chapter 70 (public school) aid, and check the town or regional school district that you love. 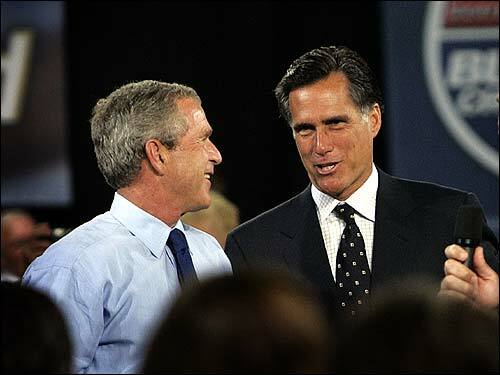 Mitt Romney was elected in 2002 – in the middle of Fiscal 2003. Romney’s first budget was for FY 2004. Look for the column labeled Chapter 70 aid for FY04, and chances are you will see a huge cut. Just to the right of that column, you will see the percent change from FY03 (which wasn’t a very good year) and you are likely to see -20.0. Unless a district was barely squeaking through at or near foundation, the state reduced its contribution by 20%. If a 20% reduction would have brought a school system below foundation, the reduction was set to bring the district down to the minimum. This pushed the state’s fiscal problem (overaggressive state tax reductions, no appetite to reverse course) into the laps of local government. Districts had no way to make up for the lost revenue without a large tax increase (which requires a difficult Proposition 2.5 override), major cuts, or both. This wasn’t in the heart of the recession – this was back in the good old days. So, if history is your guide, pay attention to Mitt’s private words. He won’t say it now, but if he is elected he will make the government smaller by starving state and local government. Mitt will “solve” his problems by passing them on to state legislatures, local school boards, city councils, and every other state and local official who relies upon federal funding to support local services. Somerville probably was hurt by the Romney cuts more than any other municipality in the state. Not only did Somerville lose $4.86 million in Chapter 70 aid, all the municipal aid took a 20% hit. Somerville’s schools never returned to the FY2003 aid numbers, and I know the fiscal stresses that were created in that city are enormous. Also, this thread is only looking at local aid for schools – schools and municipal governments all took 9C hits as soon as Romney was sworn into office. The Romney folks were operating under the assumption that cities and towns were flush with free cash and reserves, so he could (in essence) use that money to balance the state budget.